The 3 Phase Heavy Duty 4 Wheel Frame EI3021 is a compact industrial water blaster, developed by Kerrick for the tough Australian conditions. Features include a slow speed pump, heat dispersing coupling, and mounting plate for h.p. hose reel. 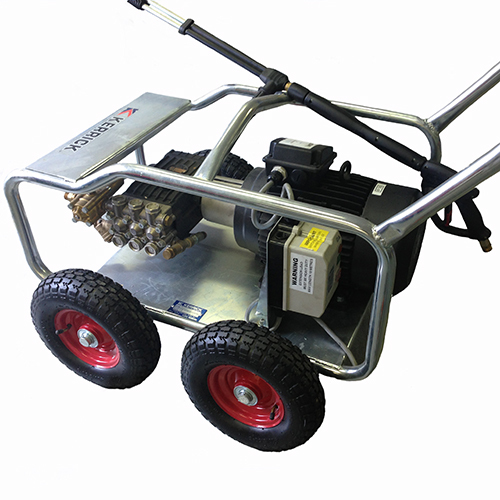 This unit is ideal for heavy duty cleaning and industrial water blasting applications.